Know the best ports for connecting printers and which do not have problems while working. For a working printer needs to be connected to a USB cable from the computer, this is who sends information about what will print and may consider cable USB 20% around the printing process, of course only for printers that work with this type of connection. Even if it seems something not very important, the influence of the operation of the printer, which depend heavily on connecting the USB cable. Not all ports have the same frequency and the same voltage electricity is received for sending print comes fast. In this post you will learn where you can connect the USB printer cable into the computer for printing is quick and effective. 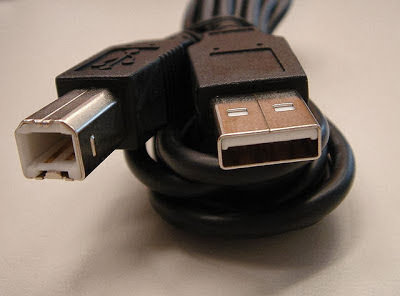 As is seen in the images, the USB cable that comes with the computer must be connected to the main ports of CPU or laptop, nothing to connect the USB connectors in power strips or breaks USB ports as these lose their intensity and power, thus receiving a light signal printers difficult the printing process. The most common symptoms that occur when these printers are not connected directly to the main ports, are slow to print the pages to the printer come long after we have shipped. We send documents to the printer never reach, putting our minds to think of many reasons to have as close a solution. It is best to connect the printer ports that are connected directly to the motherboard of the computer, in the conventional CPU, that is where we must emphasize this factor, as these computers have many USB ports but not all directly connected to the motherboard, but if you can be with the help of an internal cable, and this hinders up the printing process.